Image courtesy: Qatar Rail. For illustration only. Qatar Railways Company (Qatar Rail) recently received the first Lusail Tram after it departed Alstom factory in the French city of La Rochelle to Barcelona in Spain, to arrive on schedule after 18 days at Doha. 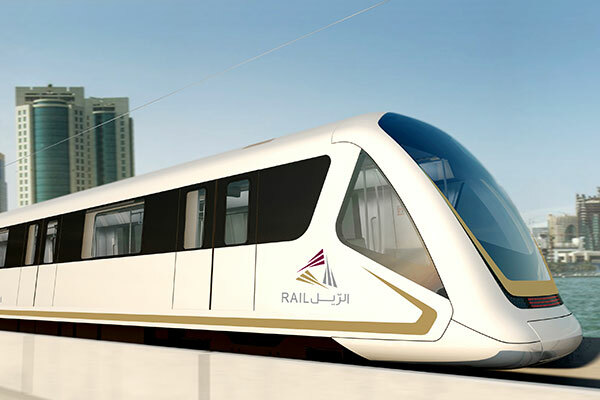 Once offloaded at Hamad Port, the Citadis train will head towards its final destination at the main depot where it will be assembled and tested as the company gears up toward the operational phase of the project. The tram will undergo a number of technical tests to ensure the highest standards of safety are met. The design of the Lusail Tram was inspired by “Al Mehmel”, which signifies “The Dhow” – the old traditional Qatari boat used for pearl fishing. The design concept focused on the sea representing dhow pearl fishing and bringing in the calm, cool, elegant and tranquil elements of that medium to the design. All these features will be depicted in the design of the trams. Lusail tram will soon become the main transportation hub for the visionary Lusail City, the largest single sustainable development to be undertaken in the State of Qatar.